Sydney, Australia — April 3, 2019 — Esker, a worldwide leader in AI-driven process automation solutions and pioneer in cloud computing, announced today that Herbalife Nutrition, a global nutrition company, has chosen Esker to automate its accounts payable (AP) process at the company’s shared services center in Malaysia, which processes over 40,000 supplier invoices for 14 markets in the Asia Pacific region. By implementing Esker’s cloud-based Accounts Payable solution, Herbalife Nutrition has embraced digital transformation to reduce repetitive, low-value activities associated with traditional AP invoicing. This will allow the company’s staff to be more productive while gaining end-to-end visibility over the entire process. 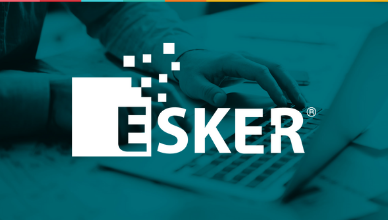 Esker’s Agile solution methodology implementation was key to Herbalife Nutrition’s decision in selecting Esker.